Handy hook enables hands free working. 60 watt max. lamp required. 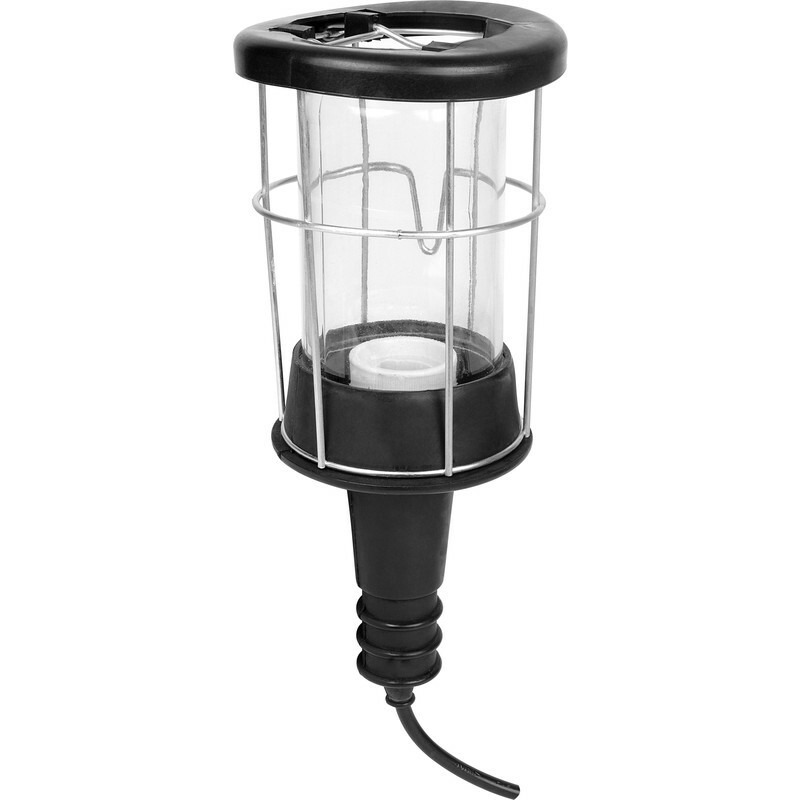 This luminaire is compatible with bulbs of the energy classes A+ to E.
Inspection Lamp 5m 240V is rated 4.0 out of 5 by 2. Rated 3 out of 5 by Kezza from Light fantastic This is a really sturdy, lightweight and well designed inspection lamp. Getting the cage open to insert the bulb was a bit of a challenge and pump pliers were required to force it open in the end so I hope the bulb doesn't require replacing anytime soon!